Zhang Wei is from Beijing, and trained in oil painting at the Central Academy. He has worked at the publications Xinjiang Pictorial and Xinjiang Daily . 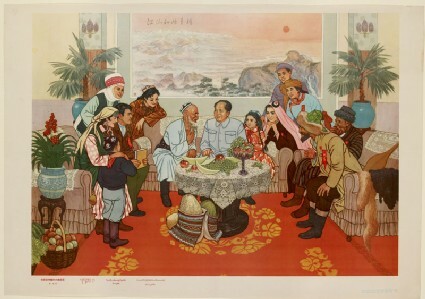 This image depicts a delegation from the Xinjiang Uyghur Autonomous Region to Beijing in a meeting with Chairman Mao. The landscape painting in the background is by the artists Fu Baoshi (1904–65) and Guan Shanyue (1912–2000). 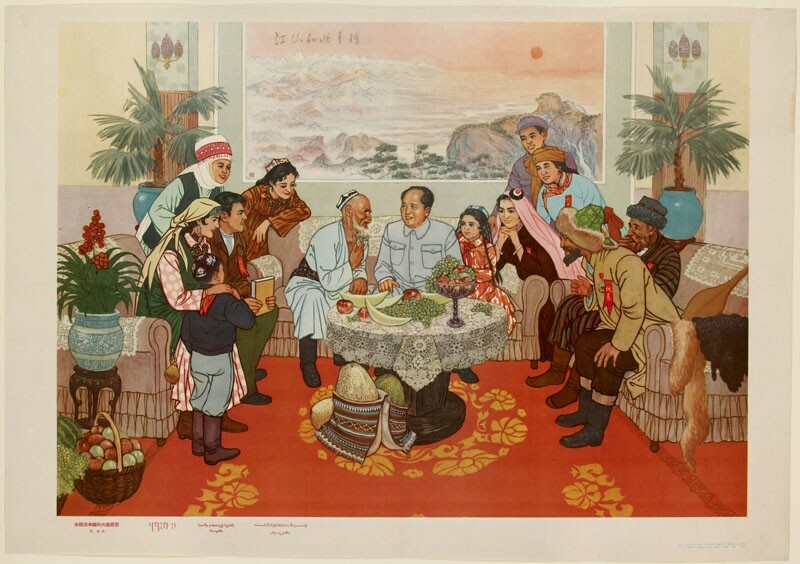 Its title –‘This land with so much beauty aglow’– and patriotic subject are taken from the opening line of one of Mao’s poems. 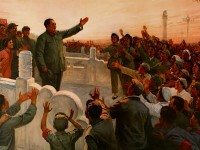 The painting is nine metres wide and hangs in the Great Hall of the People on Tiananmen Square.